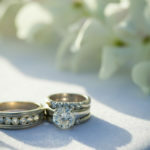 This couple were married at the Mauna Lani Bay Hotel on the Big Island of Hawaii. Getting ready photos were done in the room and then on the way to the ceremony site, at sand court. 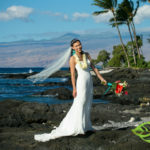 It was just the couple who did a combination of a traditional and hawaiian ceremony. The weather and the sunset were beautiful as always.